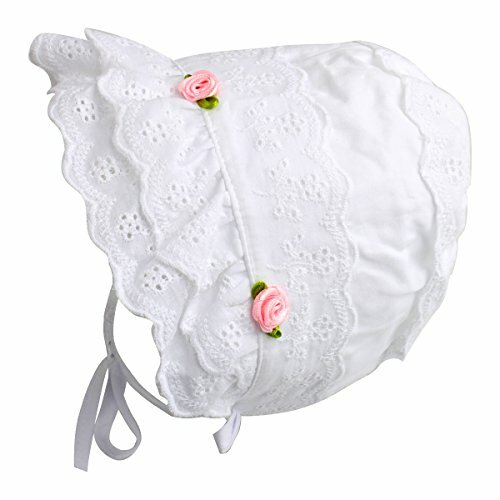 Court lace hat, using 100% cotton fabrics and 100% cotton lace, very soft and comfortable, suitable for baby. Use double layer of fabric, keep breathable and dry. Very soft double layer fabric, Fully lined, 100% Cotton, Keep breathable and dry. With adjustable chin strap to keep perfect fit and windproof. Lots of eyelet double brim embroidered rosettes. Ideal gift for baby, nice for any occasion (daily use, party, travel, take photo, etc). If you have any questions about this product by Slowera, contact us by completing and submitting the form below. If you are looking for a specif part number, please include it with your message.